You finally did it! 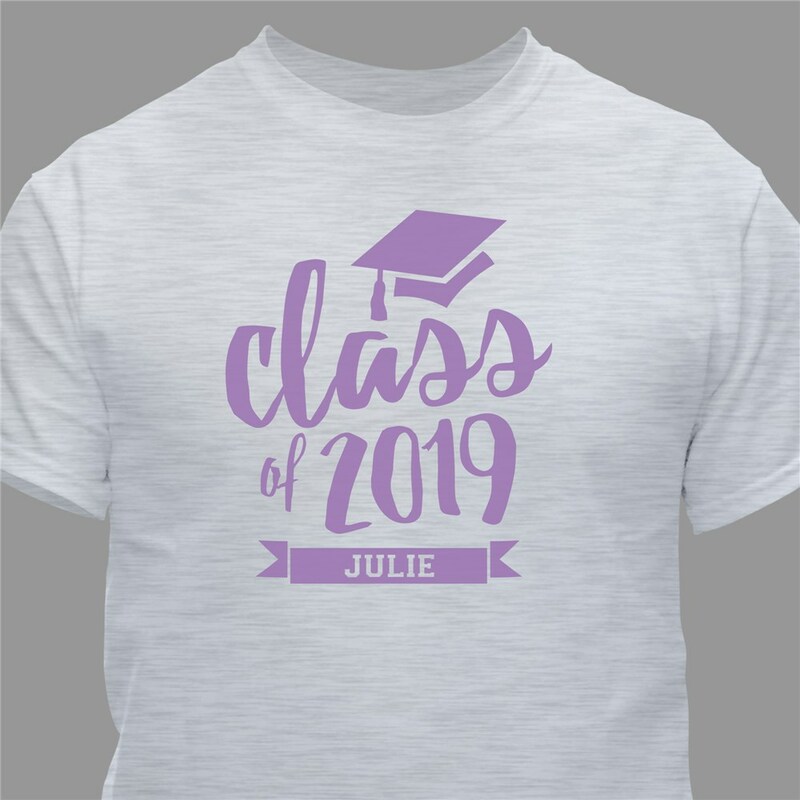 Celebrate your graduating class by proudly wearing this personalized graduation t-shirt. 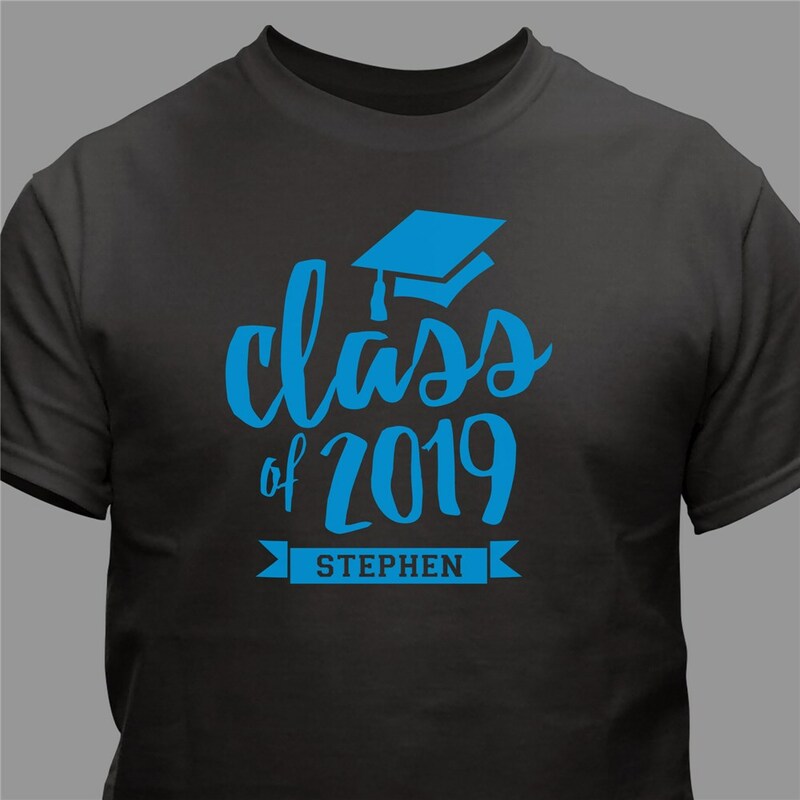 This design may be personalized with any year along with any name. Be sure to choose the color that represents your school from our drop down selection. Excellent idea for a gift for graduation. My grandson loved it, it was the right size and he showed me a picture of it and it really looked good. As long as he's happy, I'm happy. Our grandson is autistic and just celebrated his 21st. birthday. 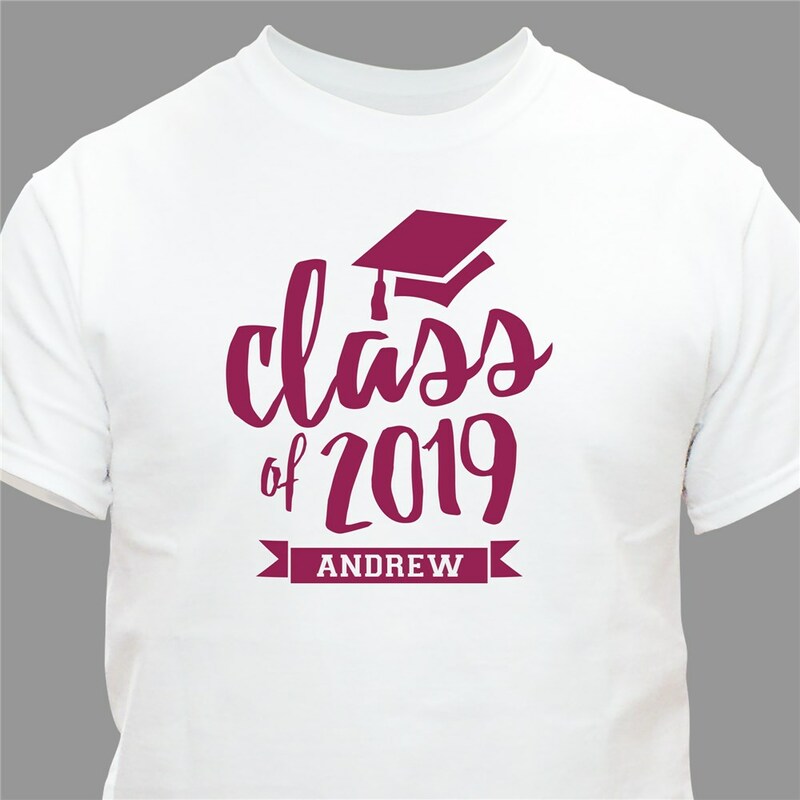 Like any young man clothes are not his thing, as far as gifts are concerned, but he love his graduation shirt with his name on it.